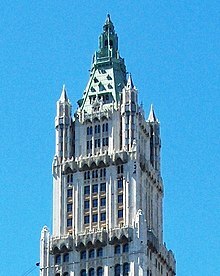 ↑ "The Woolworth Building: The Cathedral of Commerce", April 22, 2013, New York Public Library. Retrieved June 6, 2018. ↑ টেমপ্লেট:Cite nycland, p. 25.